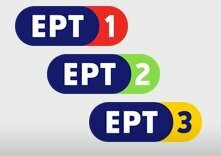 General TV Channel / ERT2 is the second television network of the Hellenic Broadcasting Corporation (ERT), the public broadcaster of Greece. It is mainly a channel that broadcast documentaries, talkshows, current affairs programs and also some sporting events. It also broadcast children's shows. It was originally referred to as ERT2 and ET2 but the name was later changed to NET, before changing back to ERT2 by technically replacing NERIT Plus. Amid protests of the government's decision to close the public broadcaster, ERT staff continued to operate NET via satellite and internet. until November 7, 2013, when riot police stormed into ERT headquarters and took the internet programming of NET off the air.